Atmospheric pollutant phytoremediation technologies, such as potted plants and green walls, have been thoroughly tested in lab-scale experiments for their potential to remove air pollutants. The functional value of these technologies, however, is yet to be adequately assessed in situ, in ‘high value’ environments, where pollutant removal will provide the greatest occupant health benefits. Air pollution in countries such as China is a significant public health issue, and efficient air pollution control technologies are needed. This work used pilot-scale trials to test the capacity of potted plants, a passive green wall and an active green wall (AGW) to remove particulate matter (PM) and total volatile organic compounds (TVOCs) from a room in a suburban residential house in Sydney, Australia, followed by an assessment of the AGW’s potential to remove these pollutants from a classroom in Beijing. In the residential room, compared to potted plants and the passive green wall, the AGW maintained TVOCs at significantly lower concentrations throughout the experimental period (average TVOC concentration 72.5% lower than the control), with a similar trend observed for PM. In the classroom, the AGW reduced the average TVOC concentration by ~ 28% over a 20-min testing period compared to levels with no green wall and a filtered HVAC system in operation. The average ambient PM concentration in the classroom with the HVAC system operating was 101.18 μg/m3, which was reduced by 42.6% by the AGW. 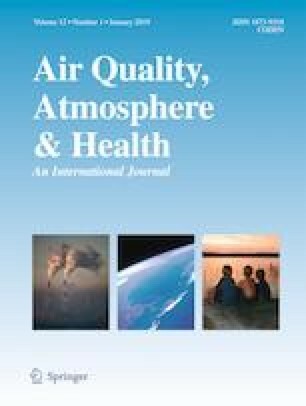 With further empirical validation, AGWs may be implemented to efficiently clean indoor air through functional reductions in PM and TVOC concentrations. The authors would like to acknowledge Junglefy Pty for providing the green wall modules. The authors would additionally like to thank Junglefy, Ornatec International Consultancy and Beijing Florascape for their effort and assistance that allowed these trials to occur. This research is supported by The UTS Centre for Technology in Water and Wastewater (CTWW). T. Pettit is supported by an Australian Government Research Training Program Scholarship.